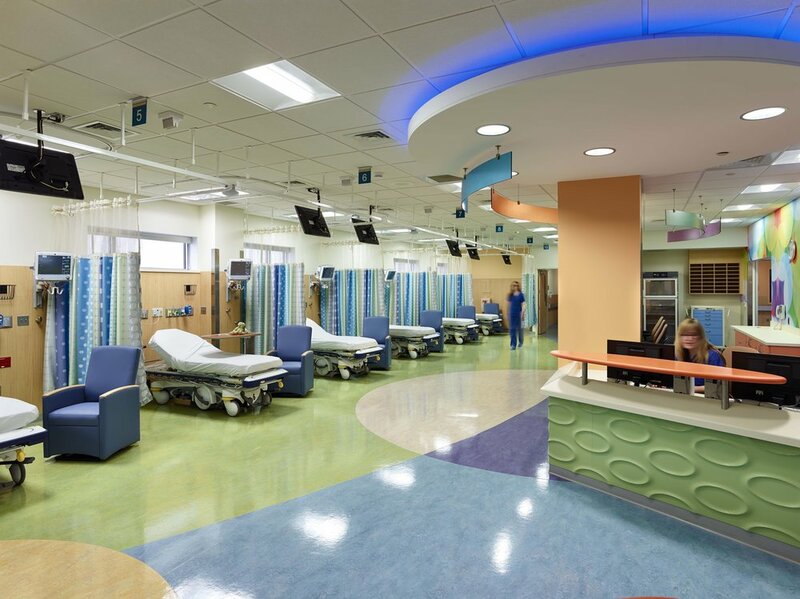 Highland Associates was selected to provide MEP engineering design services for the complete fit-out of the 7th floor of Bristol-Myers Squibb Children's Hospital (BMSCH) on the campus of Robert Wood Johnson University Hospital with a Pediatric Operating Room (OR) Suite. 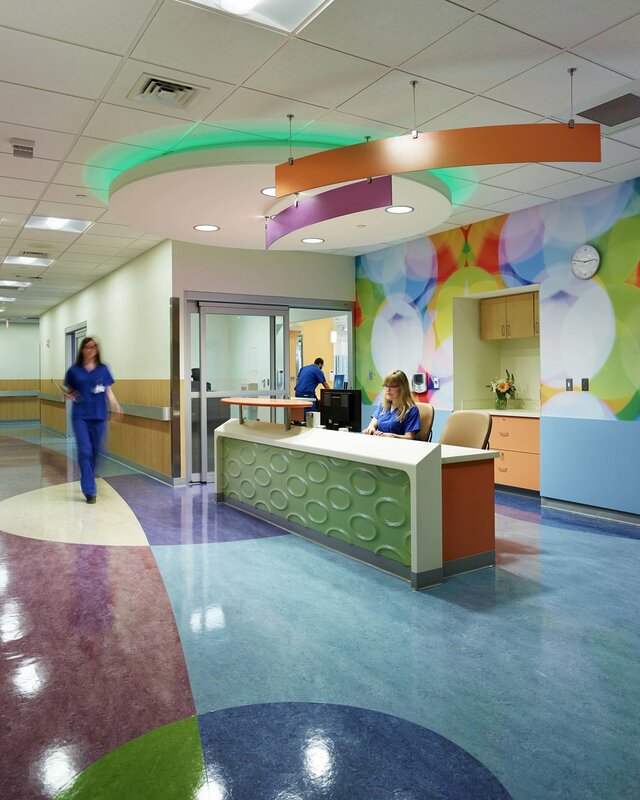 The fit-out is approximately 14,500 square feet consisting of: 6 Pediatric ORs; 10 PACUs; 10 Phase Two Recovery Bays; and associated support spaces. The space was provided with an existing medical grade RTU that will be relocated and used to provide conditioned air for the recovery areas. A new self-contained medical grade RTU will be provided to feed the 6 ORs and associated support spaces. The ORs will be provided with occupancy sensors that will allow the un-occupied rooms to scale back on air exchanges while still maintaining temperature, humidity and pressurization. This will greatly reduce the amount of air that needs to be conditioned, hence greatly reducing the energy consumed. Plumbing services included are water, sanitary waste, and sanitary vent for the fit-out. Medical gases will be extended to this new fit-out. Fire Protection will be extended and distributed throughout the new fit-out. The Electrical System will include normal power, emergency power, lighting, data/telecommunications, audio/visual and fire. The drawings were prepared for a NJDCA submission and competitively bid.